From running from exercise to now a half marathon runner!! Laura has been training with me for over 5 years. 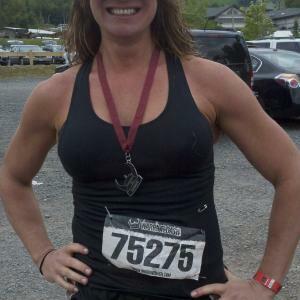 She lost 35 lbs in the first year and now has completed 7 half marathons! Although she has reached her goal she continues to train with me to a maintain strong muscles and bones.